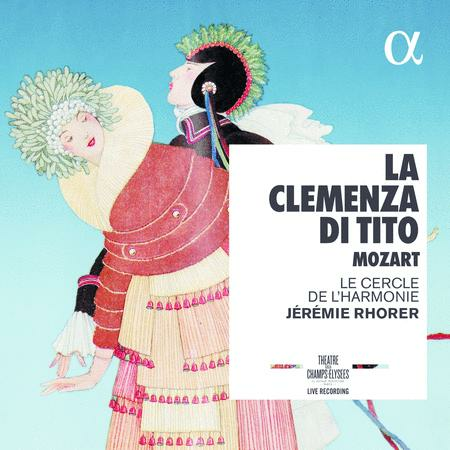 The TheÃ¢tre des Champs-Elysees and Alpha extend their series of recordings of the Mozart operas conducted by Jeremie Rhorer. 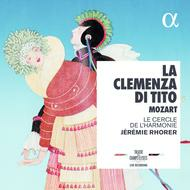 After Die Entfuhrung aus dem Serail, which received excellent international reviews (including FFFF in Telerama), here now is La clemenza di Tito. Gilles Macassar wrote in Telerama late in 2014 of â€˜divinatory conducting, a cast close to the ideal . . . The last opera Mozart composed, long undervalued, closes the chapter of the Baroque and looks into the future, blazing a new trail that looks forward to the nineteenth century.' That outstanding interpretation is now available in this new release, featuring a high-powered cast - Kurt Streit (Tito), Karina Gauvin (Vitellia), Julie Fuchs (Servilia), Julie Boulianne (Annio), Robert Gleadow (Publio) and, in the role of Sextus, a singer who enjoyed triumphal acclaim from the audience at each performance: Kate Lindsey.